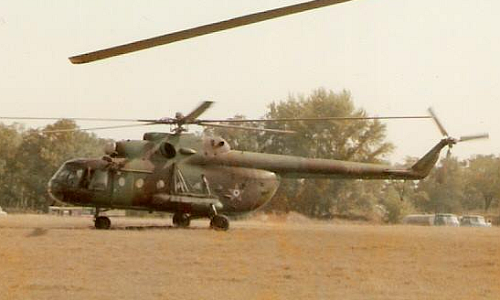 In 1989 the 87th Combat Helicopter Brigade fourth squadron was founded. 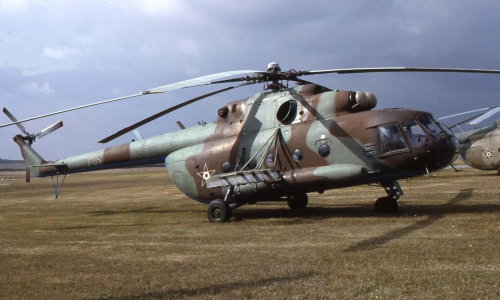 The squadron was responsible for the electronic warfare. 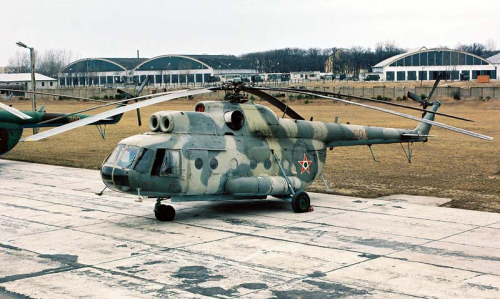 The special EW squadron received five Mi-17 (Mi-8MT) Hip-H cargo helicopter. 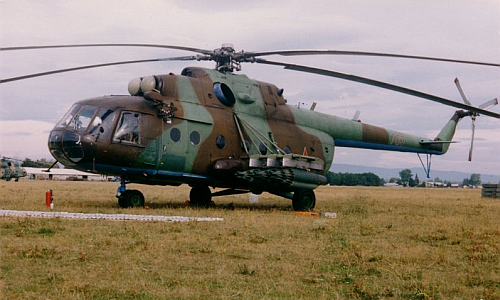 The new helicopters were more powerful than the old Mi-8T Hip-C type. 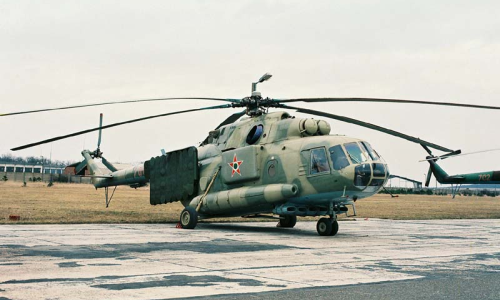 The Electronic Warfare squadron received two new Mi-17PP Hip-H electronic jamming helicopter and a Mi-9 Hip-G flying command post helicopter. 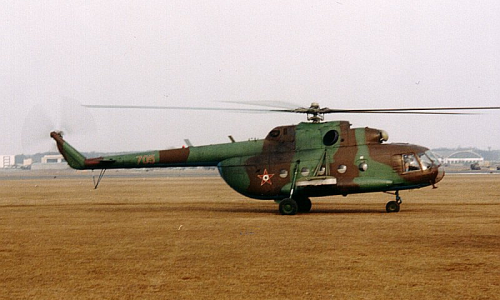 For the transport helicopters 5-6 pieces of mobile electronic intelligence (ELINT) equipment were bought. Due to the end of the Cold War, the Special Electronic Warfare squadron wasn’t developed further.